Leachate from unlined or leaky landfills can create groundwater contaminant plumes that last decades to centuries. Understanding the dynamics of leachate movement in space and time is essential for monitoring, planning and management, and assessment of risk to groundwater and surface-water resources. Over a 23.4-year period (1986–2010), the spatial extent of the Norman Landfill leachate plume increased at a rate of 7800 m2/year and expanded by 878 %, from an area of 20,800 m2 in 1986 to 203,400 m2 in 2010. A linear plume velocity of 40.2 m/year was calculated that compared favorably to a groundwater-seepage velocity of 55.2 m/year. Plume-scale hydraulic conductivity values representative of actual hydrogeological conditions in the alluvium ranged from 7.0 × 10−5 to 7.5 × 10−4 m/s, with a median of 2.0 × 10−4 m/s. Analyses of field-measured and calculated plume-scale hydraulic conductivity distributions indicate that the upper percentiles of field-measured values should be considered to assess rates of plume-scale migration, spreading, and biodegradation. A pattern of increasing Cl− concentrations during dry periods and decreasing Cl− concentrations during wet periods was observed in groundwater beneath the landfill. The opposite occurred in groundwater downgradient from the landfill; that is, Cl− concentrations in groundwater downgradient from the landfill decreased during dry periods and increased during wet periods. This pattern of changing Cl− concentrations in response to wet and dry periods indicates that the landfill retains or absorbs leachate during dry periods and produces lower concentrated leachate downgradient. During wet periods, the landfill receives more recharge which dilutes leachate in the landfill but increases leachate migration from the landfill and produces a more concentrated contaminant plume. 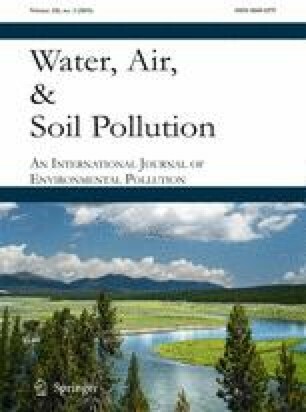 This approach of quantifying plume expansion, migration, and concentration during variable hydrologic conditions provides increased understanding of plume behavior and migration potential and may be applied at less monitored landfill sites to evaluate potential risks of contamination to downgradient receptors. This project was supported by the USGS Toxic Substances Hydrology Program and National Research Program. Appreciation is extended to Kevin A. Smith and Jeanne B. Jaeschke of the USGS for their assistance with well installation, sampling, and data analysis. The authors also thank Dr. Stanley T. Paxton, Dr. William Andrews, and Jerrod Smith for their reviews of this paper. Any use of trade, product, or firm names is for descriptive purposes only and does not imply endorsement by the U.S. Government. Oklahoma Climatological Survey. (2011). Daily time series using cooperative observer (COOP) data: accessed June 8, 2011, at http://climate.ok.gov/index.php/climate/category/my_county_or_town. U.S. Environmental Protection Agency (USEPA). (2010). Municipal solid waste in the United States: 2009 facts and figures. USEPA Office of Solid Waste EPA530-R-10-0126. www.epa.gov/wastes/nonhaz/municipal/pubs/msw2009rpt.pdf (accessed January 12, 2013).